Google today showed off some of the upcoming features for its Android P software platform. 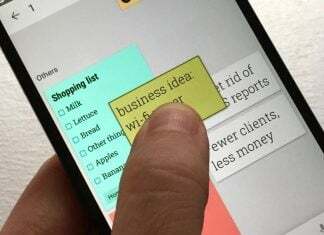 Taking the stage at its annual Google IO conference, Google pulled the curtain back on a number of details for the next release of its mobile operating system. Keeping with this year’s overall emphasis on machine learning, Android P is nothing if not smarter and more helpful. Given that smartphone features and capabilities have somewhat plateaued over the years, we might not have expected so much out of the next build of Android. Indeed, Android P will be a significant step forward in mobile. Focusing on the three key areas intelligence, simplicity, and digital wellbeing, Android P will get to know users like no version before. Below are a few of the features shown off today. These will be what make devices like the presumed Pixel 3, and others so awesome in late 2018. Your phone can learn what apps and services you use based on time and day and prioritize battery for what’s important. Gone are constant CPU wakeups and overall battery drains for things that don’t matter in the moment. You know how you can manually adjust your screen’s display to brighter and darker? Wouldn’t it be cool if your phone would learn how to do that for you based on surroundings? With Android P your phone will look at your lighting and preferences to deliver a better screen experience. If you’ve owned a Google Pixel, you know already that the phone can anticipate which apps you are going to use at different times of the day. 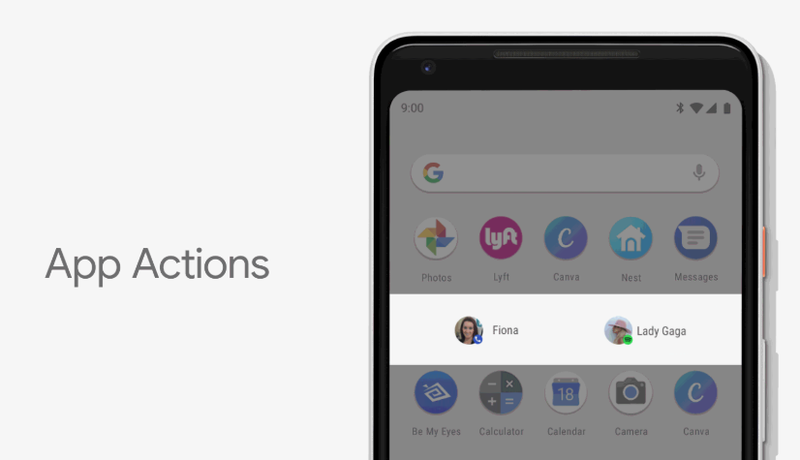 Android P takes things further and makes suggestions for apps and actions based on machine learning. This means that in addition to offering up apps and games, the phone could also suggest starting a playlist or making a phone call. Plug in headphones, for instance, it will probably bring up Spotify or Google Play Music. These actions will show up in the main launcher as well as other places. Say you tap and highlight a word in Chrome browser; Smart Actions might offer to play a YouTube video or play a song based on the word. Look for this feature in Google Play Store, Google Assistant, and Google Search. To help aid these new actions, Google is giving developers the ability to create interactive snippets. Called Slices, it cuts down the time in opening and app and starting a set task. 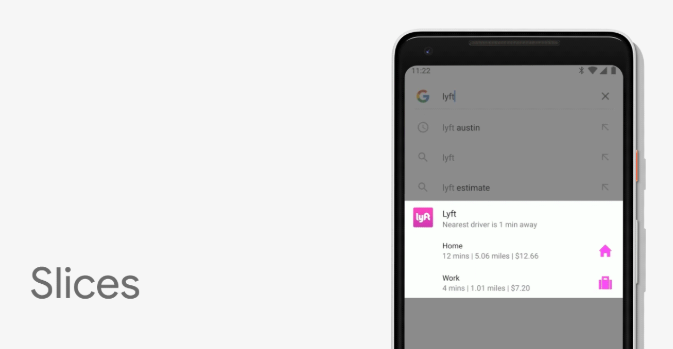 An example shown today included searching “Lyft” and results pulling up the option to immediately book a ride home with the price and time already known. Under the old way you would have to open Lyft, search for the ride, set the destination, etc. In Android P your phone knows what you’re up to and cuts to the chase. Perhaps the biggest, and our personal favorite, change in Android P comes in the navigation. Say goodbye to the old menu of three buttons. The next release of Android adopts gestures and (wait for it) machine learning to get around your device. The navigation system relies on one, single, clean button. Swipe up on the home screen button and you’ll be presented with a card-like look at the apps running, and five suggested apps at the bottom. Slide left or right on the home button and you’ll be able to hop between the open apps and games. As part of Google’s effort to help users better balance their real-world lives with the time spent on a phone, it has introduced Dashboard. This feature lets you see where you are spending your time, what apps are using it the most, how many notifications you receive, how often you wake a phone, how much video you watch, etc. Google is also building this focus on digital wellbeing in apps, too. YouTube, for example, will track how much time you spend watching videos and make gentle reminders to take a break or go outside. In other words, it’s like having an assistant keep an eye on your habits. It’s up to you to learn from your usage. In a related note, the App Timer lets you set time limits on apps and nudge you when you’re getting close to hitting the threshold. Once you reach the goal time limit the app will be grayed out to help remind you of where you are for the day. Now you can force yourself to stop refreshing Reddit and get back to living. Google has punched up the DND feature in Android P, not only making it smarter, but tying it into another, new setting. Now when you flip your phone over your device will automatically go into do not disturb. And, it’s not just going silent, but it also removes the popup notifications and visual stuff, too. This is the aforementioned new option; it lets users pick a time they’d like to go to bed at night and helps ensure they meet the goal. When it gets dark outside your phone can go into DND and the screen will gradually fade into grayscale until it’s time for chosen bedtime. There are a few other cool features in store for Android P, including a whole slew of things under the hood and aimed at developers. That’s not to suggest you won’t see them as a general user, though. Half the fun in getting a new software build is the discovery and wow factor. Google today announced that the Android P Beta release is available immediately for not only its own Pixel line, but phones from other manufacturers, too. Among those who can install the beta release are people who own a Sony Xperia XZ2, Xiaomi Mi Mix 2S, Nokia 7 Plus, Oppo R15 Pro, Vivo X21, OnePlus 6, and Essential PH‑1.